We constantly get asked here at RSG for storage ideas that are not only practical but will look great around the home too. 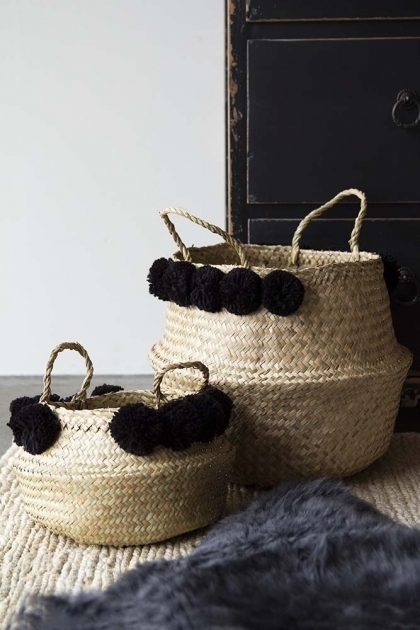 The Set Of 2 Straw Baskets With Black Pom Poms are perfectly stylish storage baskets that you'll love on display in the home. 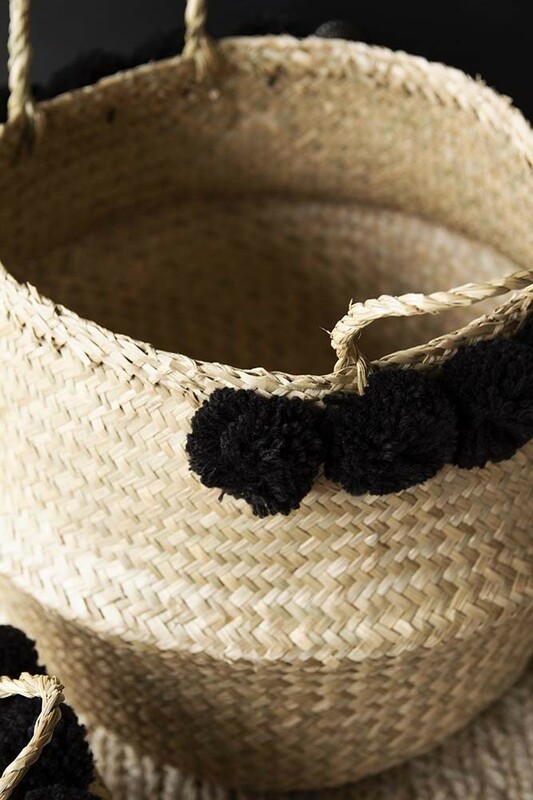 In a stunning natural wicker design with black pom poms for added personality, these set of two baskets will go nicely in any room in your house! Use to store laundry or lotions and potions in the bathroom, toys in the playroom, magazines next to your coffee table style spot... in fact these lovely baskets are perfect for storing away just about anything that you want out of sight. Super versatile, display together or scatter around your home to ensure things stay neat and tidy whilst stylish and chic at the same time.